Kermit’s latest book, first published in 2015, is a recent release and has already won a Pinnacle Book Publishing Award in the “Best Children’s Inspirational” category out of over two-dozen entries! If you ever wondered what Fantasy of Flight is all about, this is the book that explains it through a timeless story of self-discovery that will touch everyone who reads it. Ostynn the Ostrich is to become the Fantasy of Flight main Park Icon character and will meet many friends in future books! (And while this may look like a children’s book and, rest assured, kids will love the story, the message has the potential to have far more of an impact on adults! It doesn’t matter what age you are . . . THIS BOOK IS A MUST READ FOR EVERYONE!). This is Kermit’s second children’s book and was first published in 2012, winning a Pinnacle Book Publishing Award! It is based on the famous flight of Charles Lindbergh from New York to Paris in 1927. Using a bit of artistic license combined with very accurate history, Kermit has the original character airplanes from his first book “All of Life is a School” build Lindy after leaning about the Orteig Prize. Lindy comes to life, overcomes many obstacles on his journey, and learns a valuable insight from his experience! 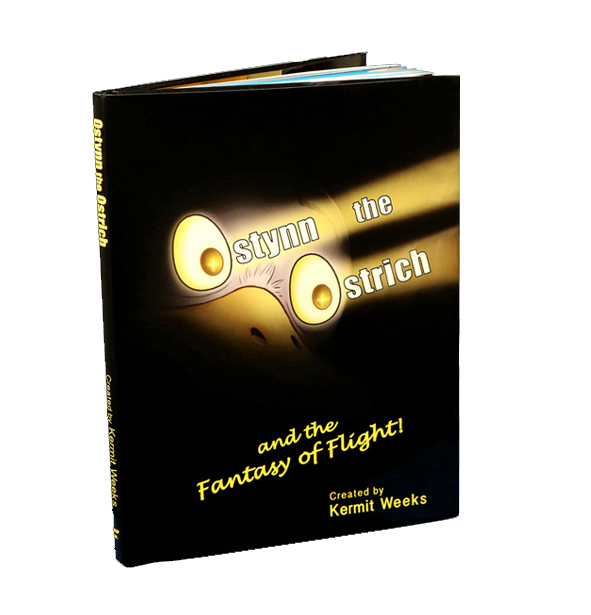 This is Fantasy of Flight’s creator and founder, Kermit Week’s first book developing characters for Fantasy of Flight. First published in 2008, it won him a Bronze Independent Book Publishing Award out of over sixty entries! The illustrated book introduces a number of real characters from the Golden Age of Aviation, many of which live at Fantasy of Flight. The main character Gee Bee Zee connects with his new friends, including another cute little Gee Bee called Puff, as they begin their first day of Racing School. Through a combination of unfolding circumstances, Zee volunteers for a mission to help Fantasy of Flight and learns a valuable lesson in the process he is NOT expecting that is the title of the book! 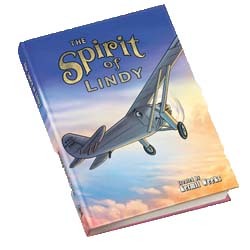 Second in the All of Life is a School series "The Spirit of Lindy" is a delightful tale based upon the famous flight made by Charles Lindberg. Hardbound and beautifully illustrated a "must have" for every child's library. The story of Gee Bee Zee the Little Racer who learns life lessons about respect, honesty, and self-discovery. Authored by Kermit Weeks, hard bound and beautifully illustrated this endearing tale is sure to be among your child’s favorites.